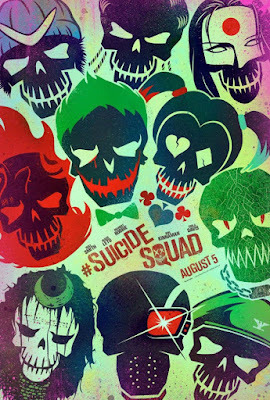 Suicide Squad, directed by David Ayer, is the latest installment from the DC Comics Cinematic Universe and features a collection of super powered villains who are forced to work together by taking on missions that are doomed to fail. The blockbuster film features performances by Will Smith, Margot Robbie, Viola Davis, Jared Leto, Jai Courtney, Cara Delevingne, Joel Kinnaman, Karen Fukuhara, Adewale Akinnuoye-Agbaje. 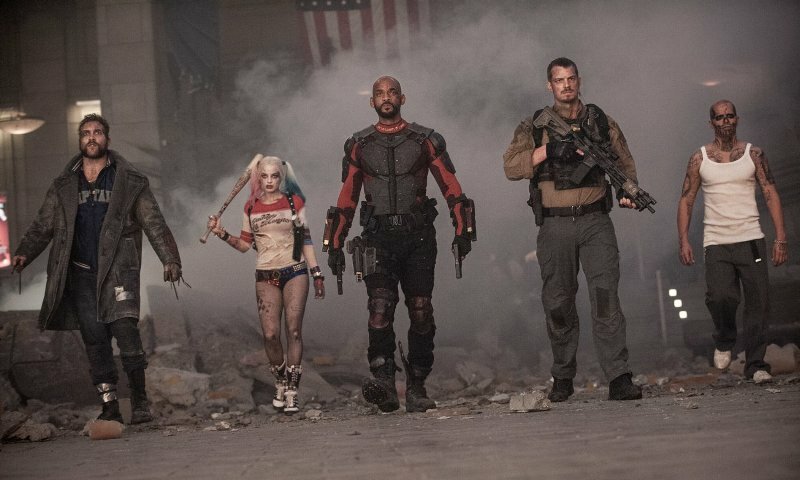 This movie has been hyped up to no end and Warner Brothers has used this momentum to raise the film's status up to basically being the savior of their shared universe after both Man of Steel and Batman vs Superman: Dawn of Justice were considered disappointments by critics and fans alike. With so much pressure behind the scenes, there would inevitably be an impact on the final product that would be put on screen and, of course, this did happen. 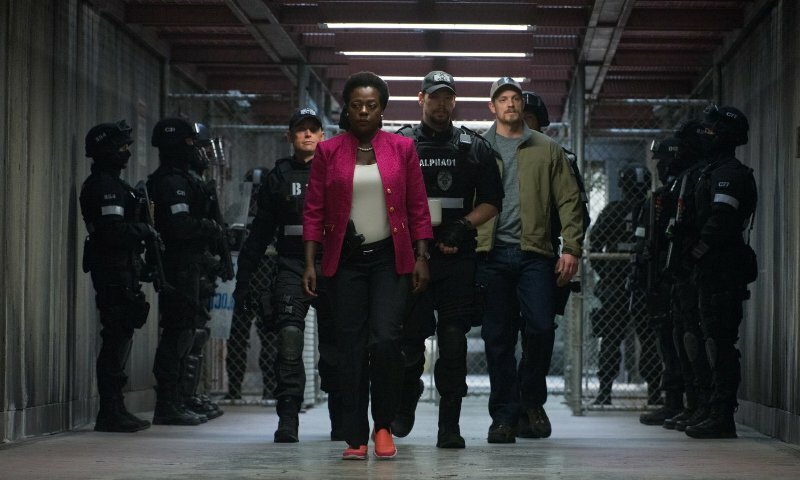 The movie, while entertaining, is kind of a mess and you can tell way too many cooks were in the kitchen for this one just from how all over the place the story is. I feel bad for David Ayer as a director because he was already fighting an uphill battle and then to have his efforts undermined and changes made to his script which ultimately turned a potentially great movie into something kind of ordinary. 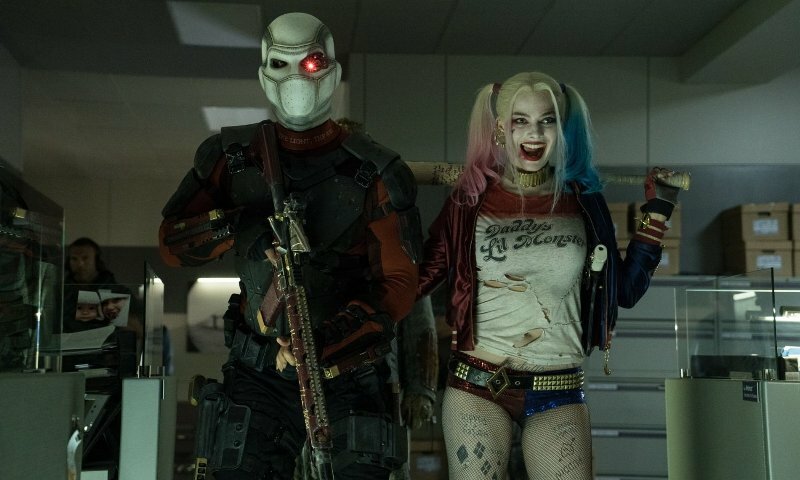 When it comes to the cast of characters who make up the Suicide Squad, I was very happy with the actors picked out for each role. Of course, we all know Margot Robbie is fantastic as Harley Quinn and the only thing holding her back is the scrambled up script. Her take on the character is spot on and I haven't heard anything negative about her work whether from die hard fans of the comics and cartoons or people who got their first glimpse of this extremely unstable villain. Will Smith is very good as Deadshot although, from what I have learned, his version is quite the departure from the source material. Everyone else does solid work with their characters with special shout outs to Jai Courtney as Captain Boomerang and newcomer Karen Fukuhara as Katana. Let's talk about the Joker for a moment. 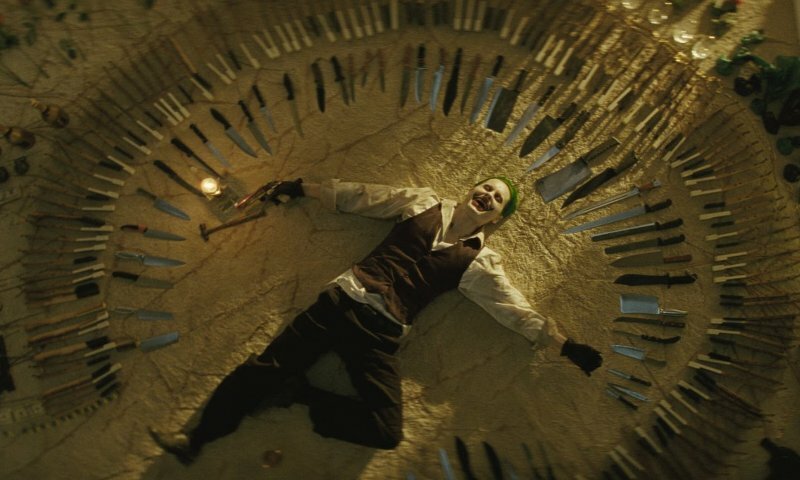 Honestly, I was disappointed with Leto's performance as it felt derivative, overly hipster, and a little too familiar although I will cut him some slack for having to follow two of the most iconic performances in comic book movie history. Aside from Leto's sub par take on the character, he didn't really have much to do in the film other than being a sort of side show which was meant to expand the overall DCEU but only adds to the disjointed nature the movie suffers from. It would have been better to have him as the big bad guy the squad is sent out to stop which would have added so many layers of intrigue, second guessing by the members of the team, and a much needed cohesiveness to the cartoon quality villain(s) we end up with. Oh, and don't get me started on all the random stuff thrown in to help tie this film to the rest of the DCEU/Justice League freight train wreck that Warner Brothers keeps trying to hold together. Every moment feels out of place and takes away from the main story which feels even worse when you compare how the competition over at Marvel keeps seamlessly weaving their universe together because they actually understand how to do this stuff. My advice to DC would be to stop trying to not be Marvel and just focus on making good movies. Please. Yes, I've been pretty hard on this film but only because I wanted to like it so much and felt it could have been something really special. Ultimately, Suicide Squad is an entertaining yet disappointing movie that suffers from corporate meddling and a story that ends up not making a lot of sense because of it. I will consider this a standard summer popcorn movie that is a lot of fun yet won't end up being anything memorable or noteworthy in the world of comic book movies.